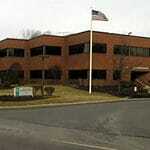 Princeton Orthopaedic Associates, P.A. welcomes the opportunity to help you with your concerns relating to our specialty. 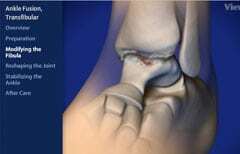 Our orthopedic surgeons are dedicated to excellence in community health care in the areas of orthopedic surgery, sports medicine, injuries to the neck, back and spine, total joint replacement, hand and foot, orthopedic trauma and fractures, physical therapy and rehabilitative medicine for New Jersey residents. Please contact us for an appointment, or if we can be of any other assistance. Thank you for visiting Princeton Orthopaedic Associates. 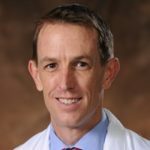 Dr. Jon Ark named Chairman of Othopaedics at University Medical Center of Princeton at Plainsboro ...Read more. Get Your Life Back with a Total Knee Replacement and the help of Dr. Vannozzi ...Read more. Dr. Todd McGrath joins POA ...Read more. Penn Medicine Orthopaedics Princeton Orthopedic Associates Forge Strategic Partnership ...Read more. Orthopaedic Urgent Care ...Read more. I am now 7 months post surgery. It is amazing to feel this good. I had forgotten what it was like to live without pain. I still forget that I can now reach for the peanut butter on the top shelf effortlessly. My strength is still building, only weak in the rotator cuff. I shot...Read more. First of all, I must say I chose Dr. Nazarian off the web site. That was truly the absolute best thing I could have done. I was very careful to read all of the reviews and, believe it or not, there was only one bad thing noted, so I chose him. I got an appointment...Read more. Everyone walks into a doctor’s office and wants to be taken right away. Easier said than done. You have always been so nice to me. I have come to the practice, starting over 30 years ago. I really appreciate you, Dr. Palmer, and what you are trying to do to relieve my pain so I can...Read more. I am 98 years old and over time, I have seen several orthopedists. Dr. Stacey Miller-Smith is by far, the best doctor that I have had. I particularly like her use of dry needling for trigger points. Thanks to her use of this technique, I no longer suffer from the pain of trigger points in...Read more. I have been a patient of Dr. Song’s for over 3 years. I first started seeing him for shoulder pain in both of my shoulders due to osteoarthritis. He told me he could give me corticosteroid injections to help me with the pain but, in time, I would need to have shoulder replacement surgery. I...Read more. 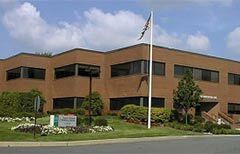 Starting March 25th We will be having Orthopaedic Urgent Care on Monday evening from 5 to 8 and Saturday morning from 9 to 12 at our NEW Robbinsville office. The new office is staffed by all of the Princeton Orthopaedic Physicians you have learned to trust over the many years of treating all of your Orthopaedic needs. 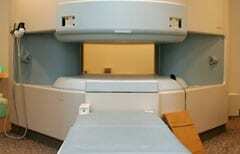 Services will also include Digital X-Ray and Physical Therapy. Give POA a call at 609-924-8131 for an appointment. POA offers Orthopaedic Urgent Care hours at 3 of our offices. Monday and Wednesday evenings from 5 to 8 pm and Saturday morning from 8 to 11 at our Forsgate office. Saturday mornings from 8 to 11 am at our office located on the SECOND FLOOR at 325 Princeton Avenue, Princeton. And starting March 25th on Monday evening from 5 to 8 and Saturday morning from 9 to 12 at our NEW Robbinsville office. NO appointment is needed for these visits for new or untreated Orthopaedic issues. If you have an orthopaedic injury give POA a call to be seen by one of our Orthopaedic Staff. Avoid time in the Hospital ER… give us a call.